Following the designation of Hemel Hempstead for the site of the third post-war New Town, Geoffrey Jellicoe was commissioned to lay out the town, including a town centre garden. Jellicoe’s plans for the town were not accepted and finally a modified plan for his gardens was opened in 1962. This talk will look at some of Jellicoe’s other gardens and his interest in modern art and Carl Jung’s theories on the subconscious to try to understand the design. We will finish with the story of decline and rejuvenation and the campaign to’ Save our Serpent’. 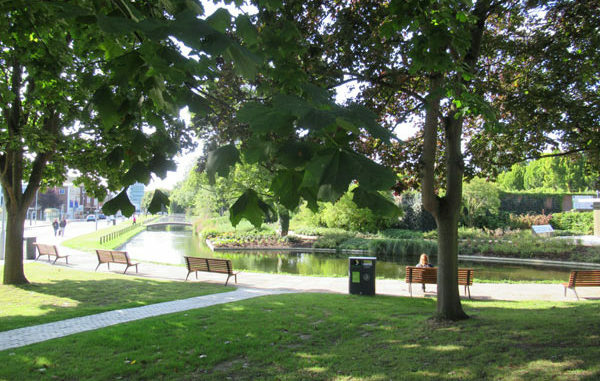 The speaker, Kate Harwood, has been instrumental in the recent restoration of Jellicoe’s seminal design for the Water Gardens at Hemel Hempstead.